The INSPIRE Advisory Board counts eight experimental and theoretical physicists from participating laboratories and the community at large, plus the manager of INSPIRE’s sister service NASA Astrophysics Data System. The Board meets yearly, and the 2015 meeting took place at CERN on May 7. INSPIRE’s staff reviewed the team’s work during the previous year, and discussed with the Board the present challenges and the path ahead. The meeting of the Advisory Board is always a great opportunity for the INSPIRE team to reflect on last year’s achievements. After the meeting, we interviewed the chair of the advisory board, Michael E. Peskin, to hear his opinion on INSPIRE’s recent progress and its near future. What is your impression of INSPIRE as an academic information service? Michael E. Peskin. I have a long history with INSPIRE, I came to SLAC in 1982 and soon after that began interacting with the staff of the service. At that time it was the SPIRES information system, which I actually had used even before that. SPIRES first went online in the 1970s as a kind of terminal/command-line based service, where you hooked up on the internet, and put in some command-line statements that began with “q”, and out came a long list of bibliographic references. And this actually saved my life. In 1981. I was asked to give a review lecture at one of the big international conferences on composite models of quarks and leptons, a subject about which I knew very little. I put some queries into SPIRES, and out came reams of paper with 800 references, and I actually looked through most of them. Since then I have found it to be a very reliable service. It provides information on four high-energy physics areas (hep-th, hep-ph, hep-ex, hep-lat). It is as complete and correct as a bibliographic service can be. It is user-based so it is constantly being checked by all the users. It is multi-faceted, so it gives you direct keyword searching but also citation search. The citations are also used by people to construct stories about their careers. So that means that there is an incentive for people to very carefully check that all the links are correct and everything is provided. And actually citation searching is the most effective way of searching for any topic that you are not familiar with. The method is simple: you find a review paper, look at the papers that cite that review paper, and work your way back up the chain that presents itself. I have found this to be the most effective way of getting familiar with a scientific topic. But it requires that you have complete and detailed coverage of the field. INSPIRE has the level of coverage that is required. What is your opinion about INSPIRE Labs? M.P. There are some capabilities that I felt were much needed by INSPIRE. One of the strong motivations for the new framework of INSPIRE is the ability it gives for users to communicate back to the service. I think it is still true that, if you want to correct an error or add a reference, you fill a form or write an email, and then someone at INSPIRE has to parse that email, interpret it, and then take the correct action. This just wastes effort for everybody. The correct way to do this is to have a form submission that drives the user to enter information in the way that the database would like to receive it. Then it will be possible to act on user requests in just a few minutes. In that way we can build bibliographic entries, correct citations, give new citation links, and update the author pages and HEPNames data. I believe this is really the way the user input to the service really should work. And it is not only cool to provide such a service, but it is also a method that makes it much easier to maintain the integrity of the database with limited resources. As part of INSPIRE Labs we are trying to test new features. What do you think should come next apart from the submission form? M.P. The other part that really matters is the back end of the new framework. This gives the curators more effective tools to examine records. Eventually INSPIRE will incorporate machine learning to suggest changes in the records and, eventually, to fix things automatically. This also deserves a high priority. Besides that, everyone wants more effective searching. How satisfied are you with INSPIRE’s operational improvements since the last 5 years? M.P. Before the transition from SPIRES to INSPIRE, the old search engine had difficulty with the steadily increasing size and complexity of the database. Five years ago, the system was breaking down during periods of stress. Things have come a long way since then. You can still see some glitches but it is very rare that you see a serious problem. And what about the content? M.P. The content has increased, and this is amazing. A recent trend, aligned with the increased interest in our community in dark matter and dark energy, has been the expansion of the coverage of astrophysics. This is still an issue energetically discussed with the Advisory Board. Another trend has been the incorporation of informal public notes from the large collaborations, such as the CMS Physics Analysis Summaries. These often contain more information than the journal papers based on them and ought to be found in general INSPIRE searches. In any case, it is amazing how deep coverage of the different subjects have grown. Which do you believe are the weakest areas of INSPIRE that should be improved? M.P. I’ll give you two different answers: From the point of view of someone doing casual searching and trying to find a particular article or review, the size and coverage of the collection is very important. It is important to include the informal literature, as I have already noted. But, also, I use INSPIRE when I write evaluation letters for grant proposals or for appointments. I want to look everything a certain person has done,. People applying for positions or gants would like to have their personal records clear and easy to obtain. For that you need unique author identification, which is a big project. This is especially a problem for people from Asia. Recently I wrote an evaluation letter for a friend of mine born in China who has a very common last name. You cannot expect to simply put in his name and not get reams of garbage. 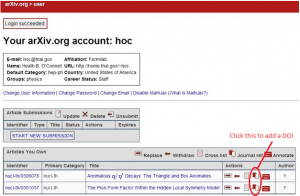 INSPIRE gives authors the capability to claim papers and edit their profiles on their HEPnames page. He had not done that exercise, at least not recently. This led to his publications being mixed up with the publications of many other persons with that same name. The process of cleaning one’s personal record, and of identifying authors and citations has always been somewhat tedious. I hope that, with INSPIRE Labs and its new features, this problem will be reduced. And, last question, in which direction do you see INSPIRE’s future heading towards? M.P. I think the big question is, “Can we make machine learning algorithms sufficiently powerful that they can take over almost all of the burden from human curators?” The thing that makes INSPIRE so powerful right now, is that we start from arXiv, where authors type in the essential bibliographic information for their papers. But, still, people are human, and sometimes this information is ambiguous or incomplete, so we need to check it against other resources. Since this input is essentially imperfect, a lot of the effort must go into improving this stream of information so it can be used reliably by the academic community. There are not so many people that are willing to work as curators, but there is a lot of data in machine memory that with correct manipulation could revolutionize the way in which information is organized and managed. We are not there yet, in INSPIRE, Google, or any other service, but the situation continually improves. INSPIRE has already brought a new way of accessing scientific resources. 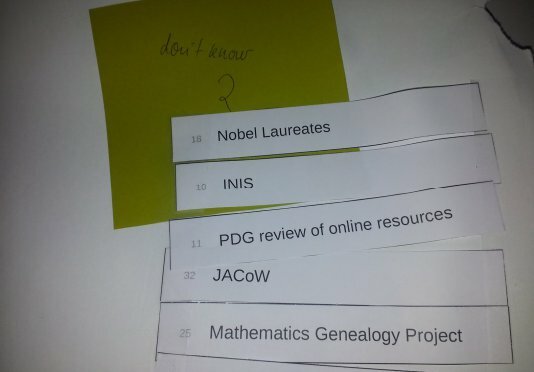 Today, journals are mainly used for historical data and publications. Papers from the 1980’s are still important, and they are accessed through journals. But a paper written in the past couple of years was probably issued as an eprint on arXiv. As an author, you don’t want to wait months for a journal to publish it, in order to make it public. As a reader, you want to find this in a literature search the day after it hits the internet. But now we would like to go beyond the paper as a means of communication. I have already mentioned the fact that INSPIRE is now indexing public notes from large experimental collaborations that amplify the discussion in their papers. The next step is to provide numerical backup to these and other papers – digitizations of figures and even data sets on which the analysis is based. These data sets would not be the whole Petabyte data sets of the LHC experiments, but they could be considerably more than simple tables and lists of a few high-significance events. People who want to play with publicly released data will, more and more, be able to find it. If you write a paper based on a data set, you ought to cite the data. INSPIRE is now making it possible to index data sets directly, to provide citations for them, and to have links to the data sets appear in relevant searches. These are two are the main directions in which INSPIRE should be reaching. High-energy physics is quite far in front of other fields when it comes to scientific information services. Being on the edge benefits us in our research, and I hope that we can stay in the front as this edge moves outward. As you might have read in our previous blog post, the new INSPIRE Labs website is the place where we will deploy and let you test new features. Let us show you one of our new features: check out the Suggestion Forms on Labs! Do you know about any publication (articles, proceedings, thesis) that is not on INSPIRE but could be an interesting addition? You can help us by letting us know about it via our new suggestion form. We will be happy to review it and include the content as soon as possible if it falls within our collection policy. To make it simple, we included an automatic import tool (Fig. 1). If you enter an arXiv number and/or a DOI to the form, INSPIRE Labs will automatically pre-fill as much publication information as possible. You can also fill out or complete it manually (Fig. 2). Only a few fields are mandatory, but the more information you provide us, the more useful it would be for the readers. 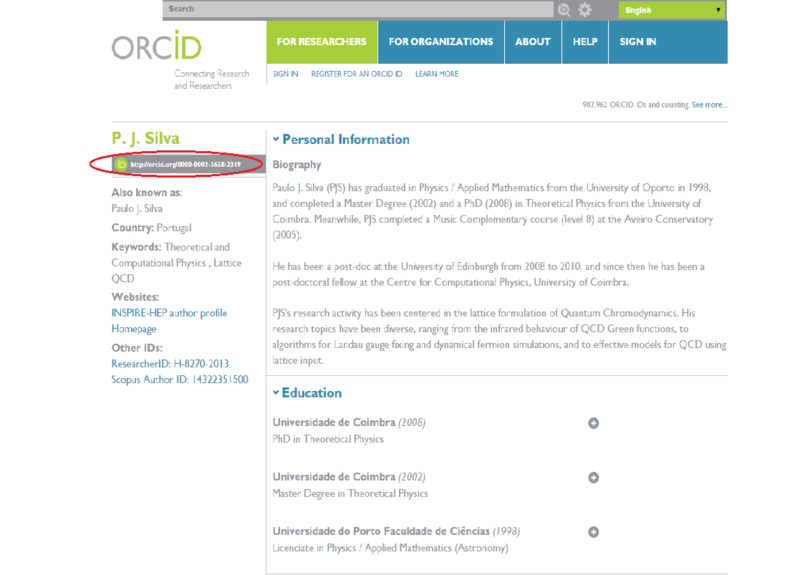 It is particularly important that the Author fields contain all the co-authors who wrote the publication, with each name in a separate input field, one on each line. All the suggestions received will be reviewed by our team manually, to verify the content and complete the information following INSPIRE standards. This procedure can take a few days. Once the submission is approved, you will receive a confirmation e-mail and it will appear automatically in INSPIRE as a temporary record that will probably get further curation afterwards. Moreover, please do not worry if some processes like reference extraction and indexing may take some time. You can find more information about how to use our suggestion form in our Help page. We hope that you will find this new feature useful. As always, we are waiting for your feedback. You can send us an e-mail or try out the new Send Feedback widget on the right side of every INSPIRE Labs page. Let us know what you think about our new forms! What is INSPIRE Labs and why are we creating this platform? INSPIRE Labs will be a new place where you can test new features and interact with our team of programmers and designers through various methods of feedback so that the finished result will be as close as possible to your needs and expectations. INSPIRE Labs is not a replacement for INSPIRE, but is used as an incubator for features and suggestions that might help the community to evolve its current tools and workflow. With a modern look and responsive design, INSPIRE Labs is going to facilitate your everyday academic, HEP related activities. INSPIRE Labs uses new technologies to build advanced features and intuitive interfaces in order to provide you with a better and faster service. 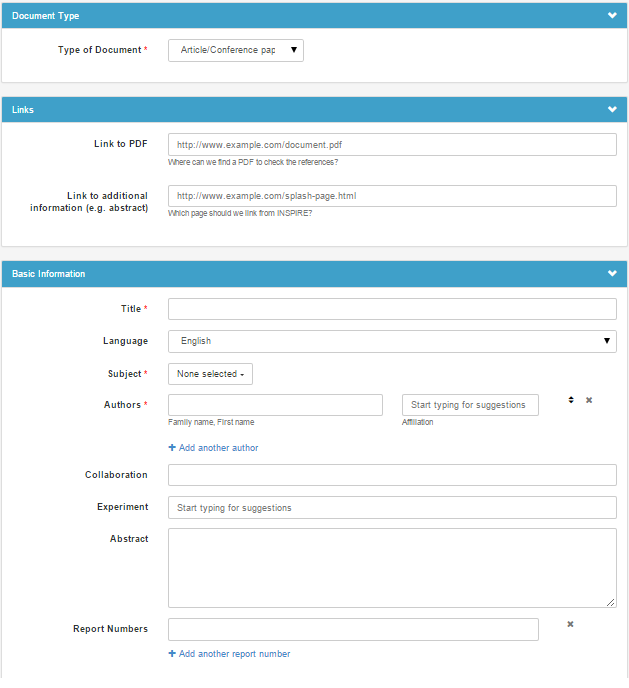 The first feature that will be introduced is the suggestion form that will help you suggest publications easily and effectively, suggestions that could be included to INSPIRE. You will find more information and tips in our next blog post! Another part of this effort is a fresh redesign and revisit of INSPIRE’s services as individual blocks of a single information architecture. Our core collections will stay the same, with one significant addition though the data collection, which will provide you a centralised search point to find data sets, software and other supporting material. In the near future, you will see more and more features appear in Labs! You can expect visually and functionally upgraded versions of some of the already known features of INSPIRE as part of this effort. We will make changes to evolve the interface and functionality of one of the most basic aspects of INSPIRE, the search tool! Our main goal is to improve the look and the functionality, so that you can search better and faster in the future. However, your feedback is vital in this process. We have developed an easy to find feedback button at the right side of INSPIRE Labs. Feedback is easier than ever! Do not hesitate to share with us all of your ideas and concerns. Let’s try to bring INSPIRE closer to your needs. Stay up to date for sneak peaks on new features and other news on our blog and twitter and don’t forget to check our blog next week to find out more about our new suggestion form! Using “find c” you can search on the number of citations from papers in INSPIRE to an article, even if the article itself is not part of INSPIRE. To search for all the papers citing a certain Physics Review Letters publication you would use “find c Phys.Rev.Lett.,28,1421”. The search term “refersto” can be very helpful if you are looking for articles that refer to other sets of articles. If you want papers that reference articles of a particular journal (e.g. Phys.Rev.Lett) you can type “find refersto j Phys.Rev.Lett.”. The same applies to other sets, for example, to search all the articles that reference the ATLAS Collaboration you could use “find refersto cn ATLAS“. Another interesting term is “citedby”. With citedby, you can find all the publications that were cited by a certain set of articles or by specific authors, e.g. by searching “find citedby a maldacena”, you can find all the publications that Maldacena has cited. At this point we should mention that INSPIRE also supports an alternative search syntax that you could find more convenient depending on your preferences. You can find all of the examples that were used previously in both search in the table below. 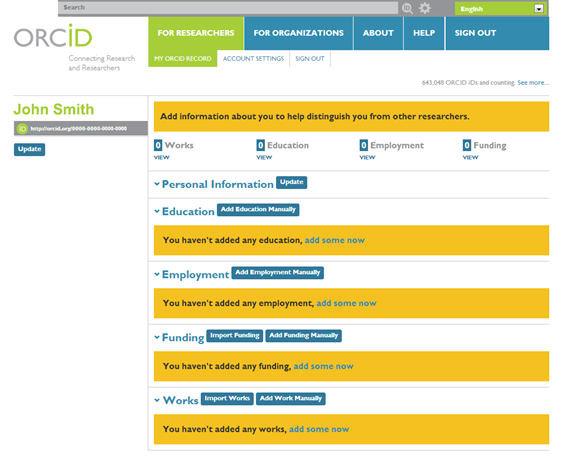 In our previous blog post, we explained how to use the self-cite search syntax. It is time to clarify what the self-cited really is so that you can fully understand the potential of self-cited. Many times authors of scientific papers use their previous publications as a basis for expanding on their research. When an author cites his/her own past publications in a paper, these publications are referred to as “self-cited” in INSPIRE. Keep in mind that self-citations are gathered only from the papers in our database that have reference lists and they apply to all the (co-)authors involved, citing and cited. For example, there is this article written by a 4 researchers and some of the writers decided to make a reference to it in their future publications. So this publication is included in the citations section as self-cited. Keep in mind that if a paper has more than one authors, then self citation is any citing paper written by any of these authors. If you want to remove self-cited from your INSPIRE queries, check our previous post on how you can combine the syntax to obtain the exact results you are looking for. Let us know what you think in the comments below or send us an e-mail to feedback@inspirehep.net with your comments and suggestions! For more helpful tips and information about our features follow INSPIRE’s blog and tweets. Citation metrics are one of the most used features on INSPIRE. We are always looking for ways to enhance the options to search through citations and references. “citedexcludingselfcites:50+” gives you papers with more than 50 citations, without counting citations by any of the paper’s authors. You can also use the short form ‘cx’ and just search for “cx:50+”. “citedbyexcludingselfcites:author:M.E.Peskin.1” gives you all the papers cited by the author Michael Peskin that are not written by him. Also here, you get the same search results by using the short form ‘citedbyx‘. “referstoexcludingselfcites:author:M.E.Peskin.1” gives you all the papers which cite any of Michael Peskin’s papers, excluding any paper by Michael Peskin himself. The short form for this search term is ‘referstox’. Note that ‘M.E.Peskin.1’ is an authorID. In the world of topcited papers, 2014 looked a lot like 2013 and not just because the Review of Particle Physics is once again at the top. 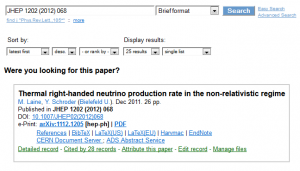 The effects of 2012’s discovery of the Higgs boson continued to be strongly felt and many of the related papers from the 2013 topcite list appeared again in more or less the same position. 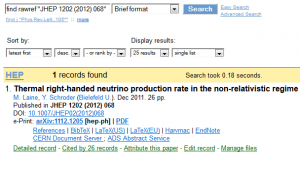 Along with the discovery papers themselves [1,2], the original theory papers [34,35] and the detector description papers [17,19], a host of papers relevant to event simulation at the LHC [4,7,9,12,14,20,22,28,31] have featured prominently; interestingly, the PYTHIA paper  is now the first paper from the 2000s in the All Time Topcite list. The AdS/CFT papers [5,10,16] and Randall-Sundrum  continue their 15+ year run on the Topcite list. Planck , WMAP [11,24] and the 1998 supernova cosmology papers [13,15] again represent observational cosmology on the list. So what was new this year? The March announcement  by BICEP2 of the results of a search for inflationary gravitational waves in the cosmic microwave background had an immediate impact and the paper had 100 citations within two weeks and 500 by July. This got people thinking about inflation and brought back a number of inflation papers from the 1980s to the topcite list [23,29,36,37] in addition to Guth’s perennial paper , which climbed twelve places in the rankings, and the Planck inflation paper , which climbed twenty one. The remaining inductees were the October 2013 LUX constraints on dark matter paper  (that joined the similar XENON100 paper ) and the March 2013 Planck overview paper . Rounding out the list were the electron antineutrino disappearance papers [30,33], Hawking’s black hole radiation paper , the dark energy review of Copeland et al. and Minkowski’s sleeping beauty . Note that you must put your search in quotations when using rawref. However, you can omit the year when searching this way, e.g. find rawref “JHEP 1202 068”. Correct spacing is also not necessary, thus rawref:”Phys. Rev. D 90 064027″ and rawref:”Phys.Rev. D90 064027″ will yield the same result. Any journal name variant listed in INSPIRE will work with rawref. 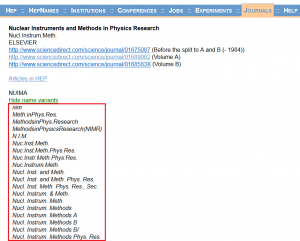 You can find these variants by searching for a journal name in the Journal section of INSPIRE. Click the name for the detailed record, and then click the link for “Show name variants”. Rawref:”Nucl.Instrum.Meth. A584 (2008) 75″, rawref:”Nucl. Inst. and Meth. Phys. Res. A584 (2008) 75″, and rawref:”NIM A584 (2008) 75″ are all valid searches. 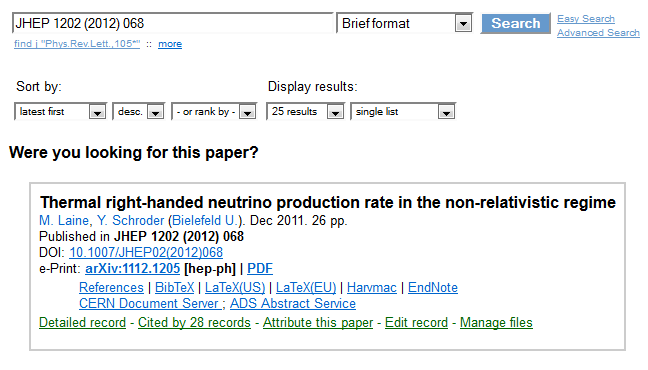 If you just paste a reference in the search bar without ‘find rawref’, INSPIRE-HEP will try to guess what paper you are looking for. Please contact us at feedback@inspirehep.net if you have any comments or suggestions for improving INSPIRE. Usually we add DOIs and update INSPIRE to reflect the fact that articles are published within a few weeks of publication. This information is taken from feeds INSPIRE receives from publishers. We try to find the corresponding preprint in a semi-automatic way and add the publication information. Sometimes this process is delayed or fails. If after waiting patiently for updates you do believe there is a failure in the process, please let us know, as other articles might be affected as well. But did you know that the quickest way to add a DOI and journal publication information to preprints in INSPIRE is to update them in arXiv? While this may seem like an indirect method, authors have direct control over their papers on arXiv (via paper password) and can easily augment information there in an authenticated way. INSPIRE automatically receives these updates within just a day or two. This can be done at any time, and adding the publication information on arXiv does not result in a new version either in arXiv or in INSPIRE. Once you’ve logged in at arXiv, click the Journal ref symbol beside the papers you’d like to update. This will take you to a page where you can enter the relevant information. More information on how to do this can be found at the arXiv help page on the topic. Doing this on arXiv has several advantages. Information updated on arXiv will flow to other services as well, whereas information added to INSPIRE currently doesn’t propagate yet. While arXiv can process such requests automatically due to the login, it requires manual intervention at INSPIRE and hence it may take more time for the updates to appear. If you have any comments or questions on this topic, drop us a line at feedback@inspirehep.net. 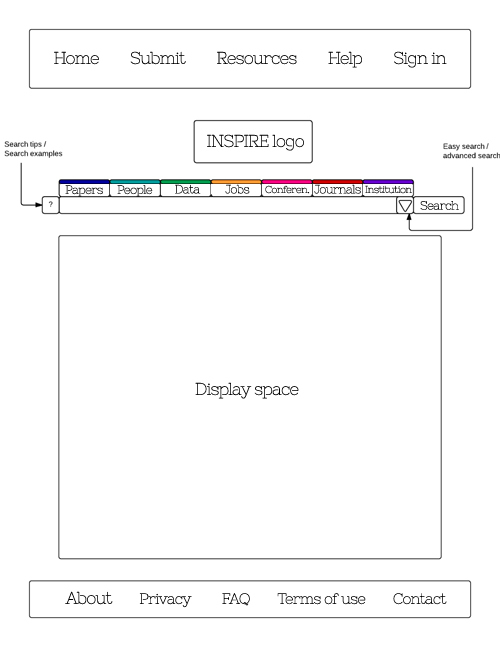 As mentioned before, we have started re-designing INSPIRE and your feedback is proving to be precious! Our colleague Robin Colignon will share his thoughts about the importance of usability and how we are using it to improve INSPIRE. If a website is too hard to understand, difficult to use, or the information is not arranged in a logical manner, most of the users feel frustrated and eventually leave and never come back. Usability concepts cover both the ease of use and learnability of any human-made object, such as a website. Considering usability allows developers and designers to create easy-to-understand interfaces, provide well-organized information, and increase the users’ effectiveness, efficiency, and satisfaction. If you have questions concerning usability, the following website will provide you further information: http://www.usability.gov. Information architecture tackles the structural design of shared information environments to support findability and usability. Thus, the new information achitecture for INSPIRE focuses on the core functionalities and the content provided. But before re-designing it we have to understand which ones are the most valuable features for our users; the best way to obtain such information is to ask the community directly. We ran card sorting tests with our volunteer users, where they could organize the current content of INSPIRE as they thought they should be categorized, highlighted, or excluded. Every tester could group the cards according to their own preferences and provide new names and descriptions. These insights enlightened us and helped us create a first design interface that takes your needs and requests into account. Robin Colignon is an expert in UX/UI working on the re-design of INSPIRE. He graduated in Information System and Services Science and in Computer Science from the Université de Genève. His interests include user-centered design and interfaces.